Wedding invitations are highly important – they are practical as well as a reflection of you as a couple and your amazing day to come. 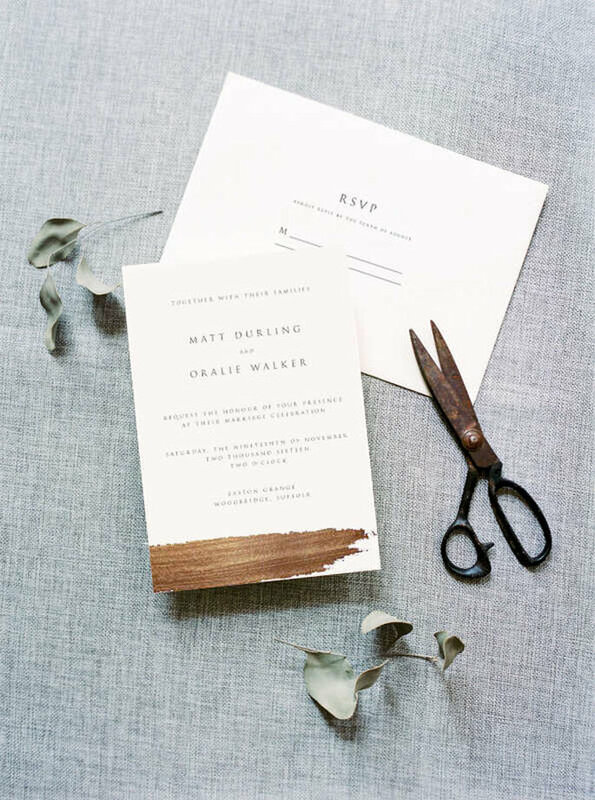 In addition to communicating the date to your guests, invitations should include all the information about the big day, so that everyone knows when, where, and what it will entail. Before letting your imagination and creativity get going, remember that a wedding invitation has an informative function, which should be addressed first. You must include the date, time and location clearly. This will be the first thing that your eager guests look for, to check whether they can attend. To make things easier, you can even include maps and directions or parking info, to make sure that they don’t miss a thing. Although the bride and groom have the freedom to do what they wish with their invitations, there is a protocol and unwritten rules that many couples follow with the presentation of the invite. A formal language is usually employed, as well as a title with the names of the couple, followed by the date, and centred text. 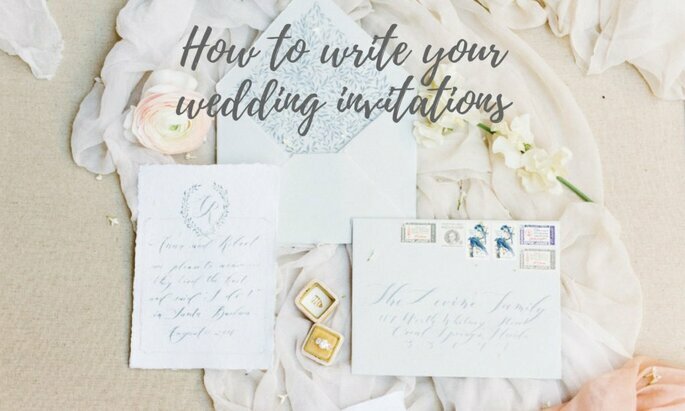 In some cases, it is the parents that send the invites and present the couple, but if you are sending the invitation yourselves, then make sure you employ a similarly formal yet friendly language. In the presentation of the invitation, the names of each family should appear in the two upper corners, to the right and left. The family addresses should be written in the lower corners, where there will also be an email or phone number to RSVP to. If we look at invitations from 20, 30 or 40 years ago, the design follows very strict and classic patterns. 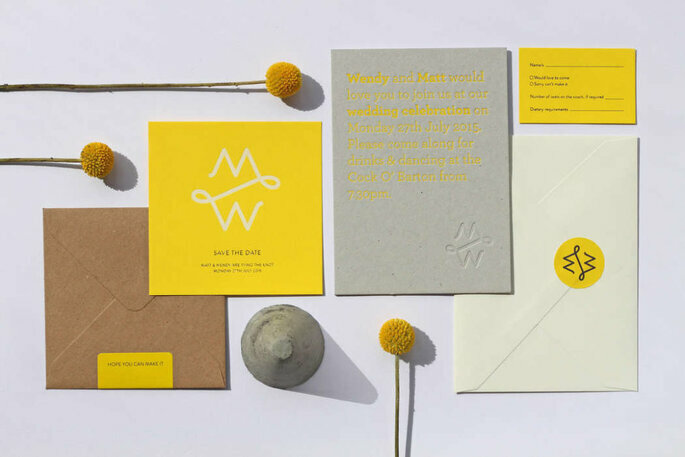 Nowadays, although classic designs and traditions may persist, many couples choose to personalise the design of their invitation that, later, will determine the spirit of the wedding itself. In many cases, couples get creative by including bits that characterise their differing personalities, such as the inclusion of equations and mathematics if their work is related to science, fantasy motifs if they are fanatical of some literary or cinematographic imagery, a vintage style for those who seek romance and nostalgia, maps if the couple love to travel or personalised with photographs of their memories together… There are endless ways to put a personal stamp on your invitation and entertain or excite your guests at the same time. Informality is not necessarily a negative thing. Your invitations should reflect your wedding style, so if you are going to have a casual wedding then let your invitations indicate that. The most unique weddings that we have seen in recent years have been the space for an extraordinary imagination, fun, laughter and originality, a philosophy that shines through creative wedding invitations. So, contact a Zankyou directory provider to find a style that really interests you. It is with a creative designer that you can transform the aforementioned protocol into something fun and personalised. Of course, the basic information is important, but you could do your invitations in the style of games, riddles, poems, and include jokes or illustrations. Try to make your invitations memorable! We have encouraged you to make the content of your invitation original, but it is highly important that your text is correct. The content depends solely on you and, as long as you do not hurt anyone’s sensitivity with foul language, inappropriate references and crude expressions, any invitation should be valid. However, the creativity of your invitation has nothing to do with wrong spelling or grammar. An invitation, regardless of the content and language used, shouldn’t be written badly. Spelling mistakes and punctuation, as well as the badly structured and meaningless sentences, will confuse guests – keep things simple so that they have your date clearly in their minds! So, if you struggle with ​​writing, ask for help from relatives, friends, acquaintances or professionals who will express what you want to say beautifully and clearly. This combination of well-written text within a creative design will make for fun, exciting and informative invitations. Choosing your wedding invitations is a decision that takes time and effort - so make sure you pick the ones that best suit your big day! Take a look at our pick of the best in the UK and wow your guests. 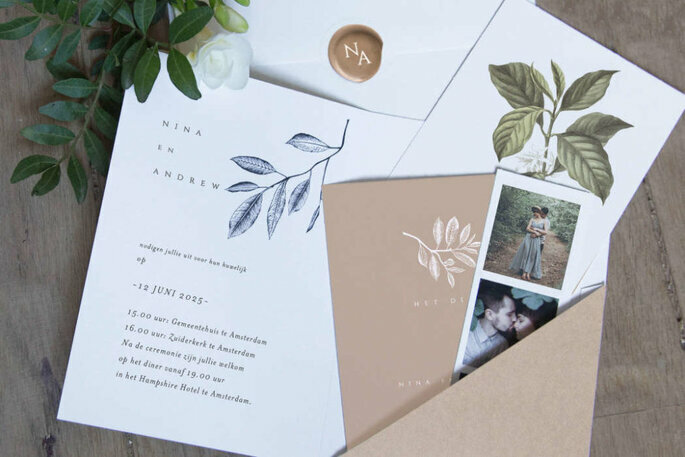 There are so many wedding invitations out there on the market, but the trick is to find a company that are specialists in creating personal and good quality invitations that can be adapted to each and every couple. Serigrafía El Coyote: Creating Very Original Wedding Invitations with your Caricature as the Protagonist! Not all wedding invitations are equal. Set yours apart with personalised, silk-printed wedding invitations with caricatures of you and your partner on the front. Wow your guests with a preview of your big day and opt for Serigrafía El Coyote for your wedding stationery! 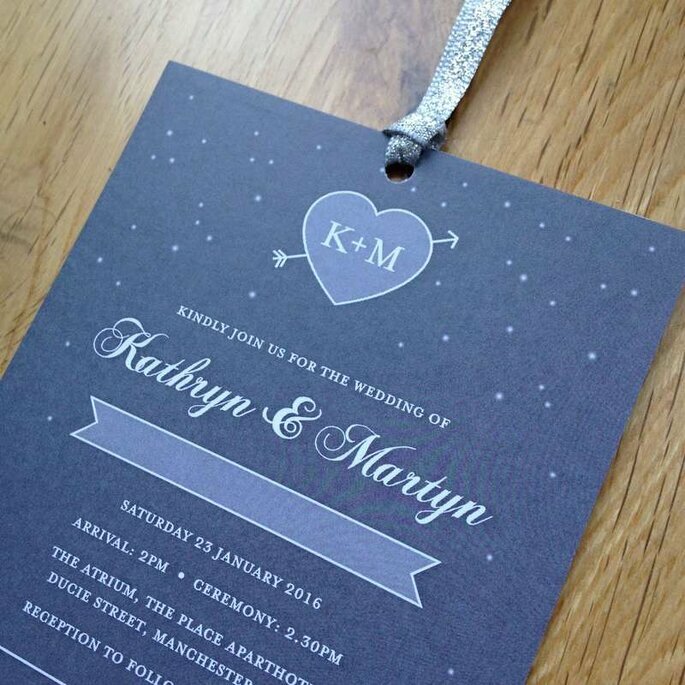 Beautiful wedding invitations to seriously impress your guests! Set the tone for your big day and wow your guests with this fabulous wedding stationery! 30 Incredible invitation ideas for your 2016 wedding, the first impression always makes a lasting impression. Make the best first impression and really set the scene for your wedding with the most unique, original and inviting invitations for your guests. If you need a little help and some inspiration to create your wedding invitations you can count on the professionalism of the team at Best of Cards.